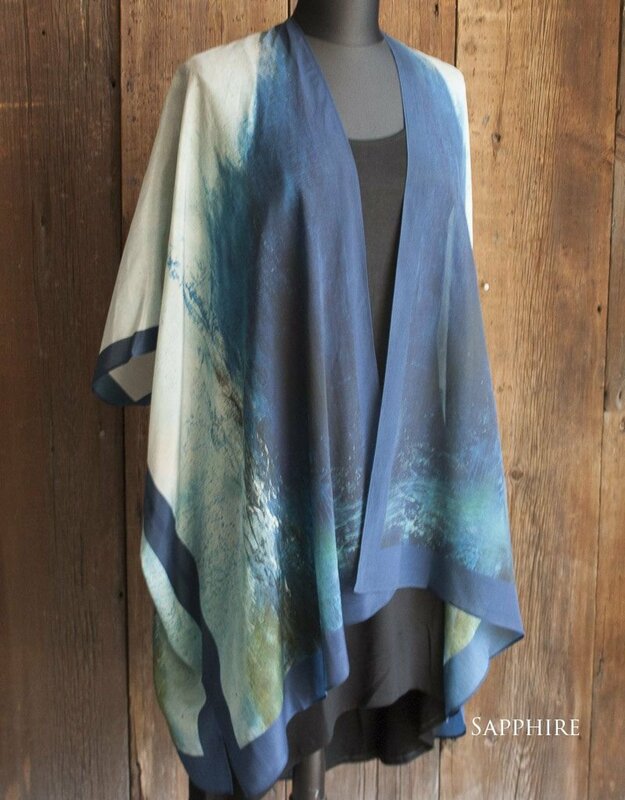 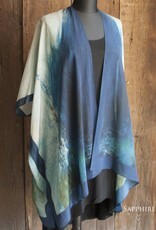 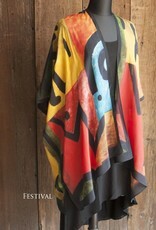 Beautifully hand painted silk from Cocoon House. 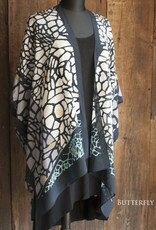 These long kimono style jackets are the perfect foil for the little black dress. 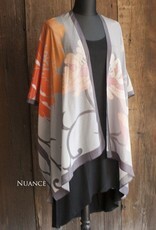 Pair with dresses or dressy pants for a lovely and feminine look for your next special occasion. 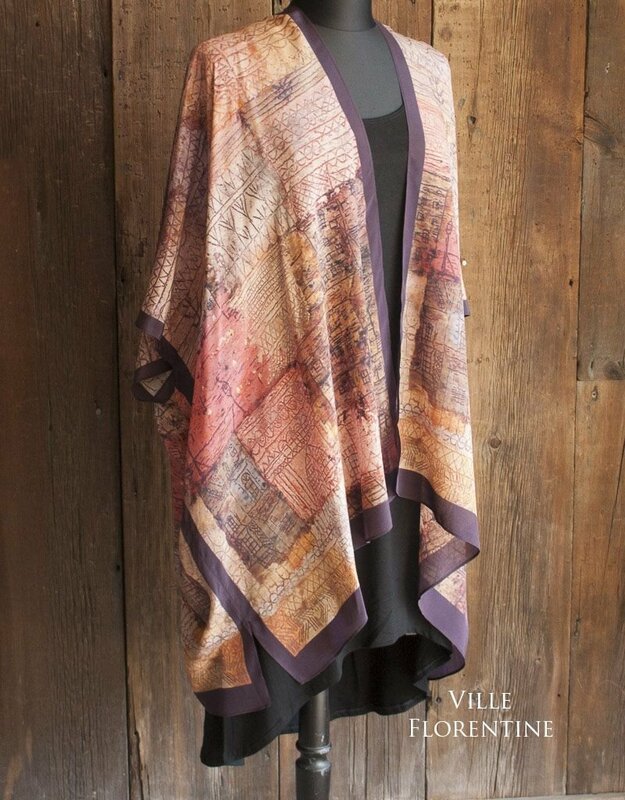 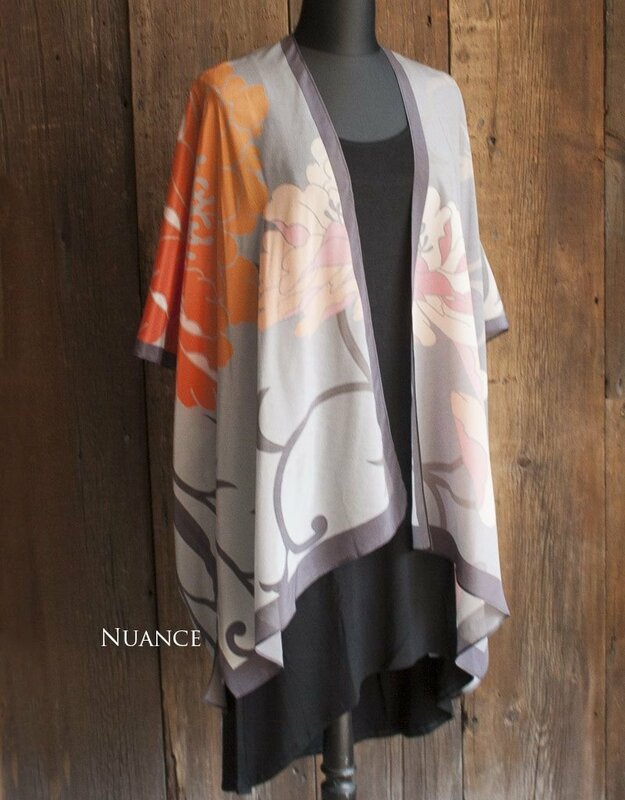 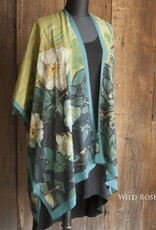 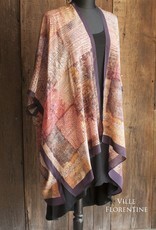 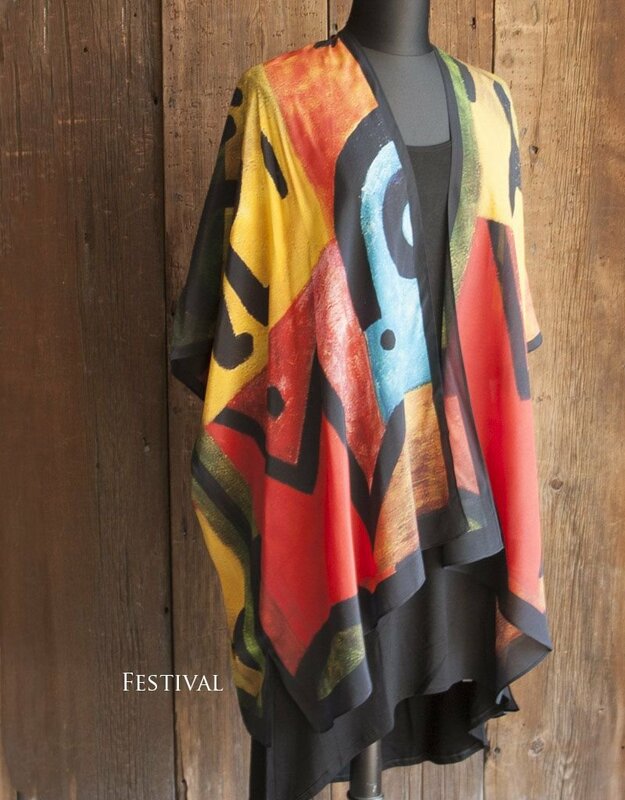 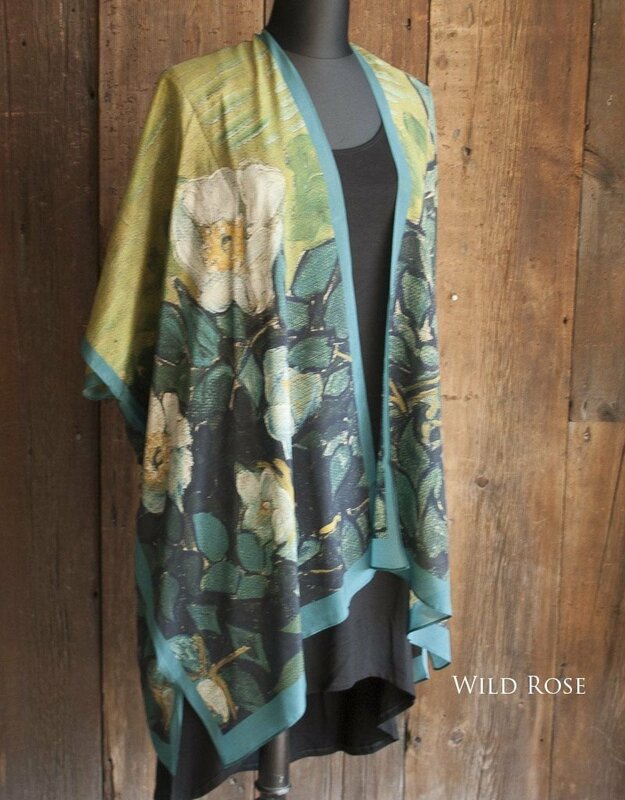 Visually scrumptious, these kimonos are a delight to touch and to wear.